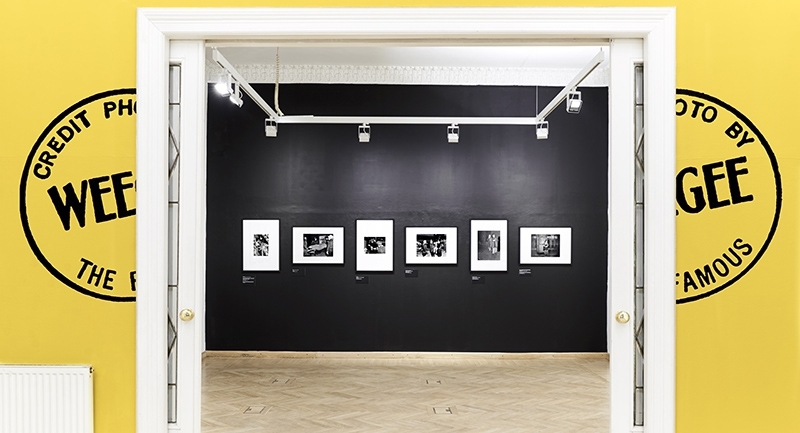 The exhibition Weegee, the Famous, 1935-1960 is open at Budapest's Mai Manó House of Photography until January 20, 2019. This exhibition features 104 of the best photos of press photographer Arthur Fellig, known as ‘Weegee’, whose name, in the 1930s and 1940s, was closely associated with New York City and whose photos were published in such periodicals as the PM Daily, The Herald Tribune, The Sun and the Daily Mirror. In a society distressed by economic and mental depression, Weegee confronted his viewers with loneliness, poverty and crime. At the same time, he showed moments of beauty and happiness, which were also parts of life in the Lower East Side, Harlem and the Bowery. In addition to documenting life in the modern city, the photos also reveal much of Weegee himself, whose character and life pervade every image. “I had got the famous pictures of a violent era, the pictures that all the great papers with all their resources couldn’t get, and had to buy from me. And in shooting these pictures, I also had photographed the soul of the city I knew and loved,” he once said.